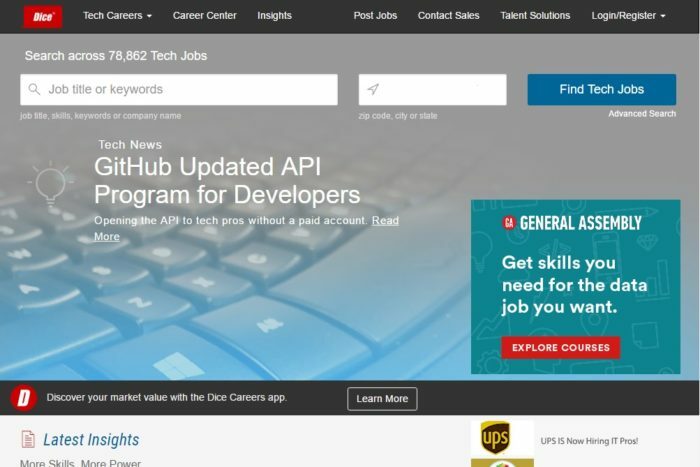 Careers site publisher DHI Group announced it is no longer for sale. In a press release, the company, which operates multiple niche career sites including its flagship tech site, Dice.com, said that after exploring “strategic alternatives” since last fall, the board of directors decided DHI should remain independent. That strategy began to emerge even before the company decided to seek a buyer. The company was built on an IT-focused jobs platform. In the mid-2000s, Dice, as the company was then known, began broadening its reaching, initially acquired allied job sites, and then diversifying broadly into areas such as healthcare, finance and financial services, and energy. However, the tech site Dice.com provided the largest share of the company’s revenues. In 2016, Dice and a second much smaller site, ClearanceJobs.com, accounted for $135.5 million of the total DHI revenue of $227 million. While DHI still retains its other career sites, the company is placing renewed emphasis on tech. In January, Dice partnered with HackerEarth, which provides skills assessments and hackathons, becoming the exclusive U.S. reseller for customized talent assessment solutions. In April, on the same day DHI said it was no longer for sale, it also announced it had participated in a $4.5 million series A funding round for HackerEarth. “Throughout the strategic alternatives process we have emphasized that we are committed to our tech-focused strategy and have the resources to carry it out, regardless of the outcome of that process,” said said Michael Durney, DHI President and Chief Executive Officer. “Accordingly, we have already been executing on this strategy by prioritizing initiatives and reallocating resources. Importantly, we’ve stepped up innovation in our tech-focused businesses; adding skills assessment services like HackerEarth, and deepening engagement with professionals with new Dice Careers App features, to name two.